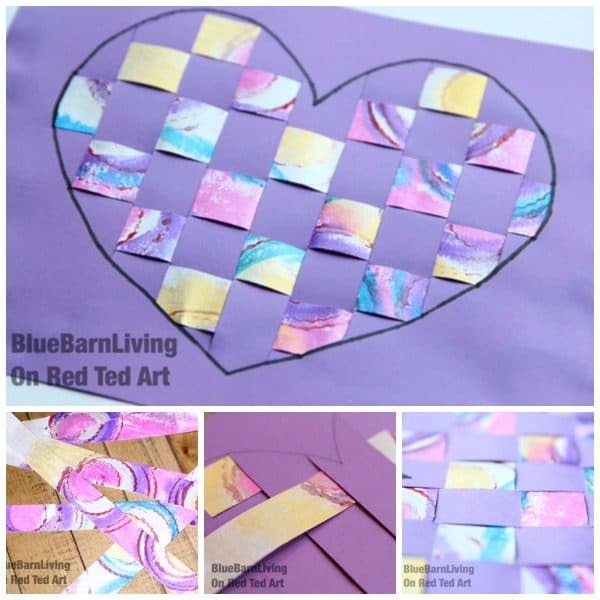 Hello to the lovely Joanna from The Blue Barn today, who shares some lovely Woven Heart Card Art Project with us today. 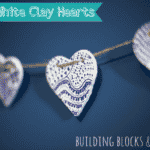 We are right in the middle of our annual 31 Days of Love Guest posting series. 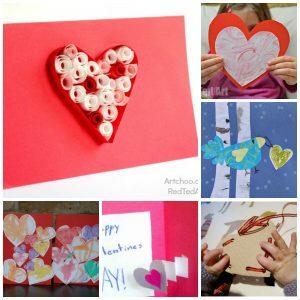 To help you find projects from the years gone, past, I have grouped then into (hopefully) handy topics – Valentine Crafts for Preschoolers, Valentine Day Treats, Valentine Decorations and Valentine Cards for Kids! I hope you find these as useful as I do! So many fantastic ideas! 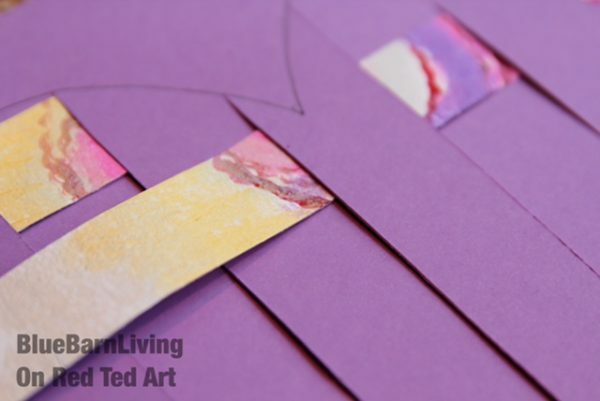 So excited to be sharing in Red Ted Arts 31 Days of Love series this January. 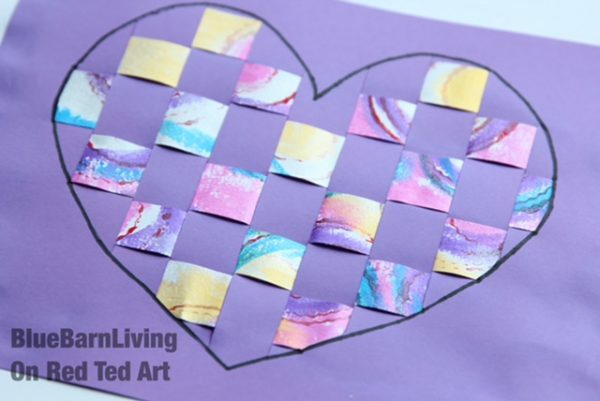 Today’s project is inspired by all the old artwork sitting around too beautiful to throw away – Woven Heart Cards for Valentines. 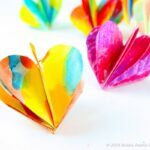 Instead, we are going to recycle some of it today to create this beautiful Valentines heart. 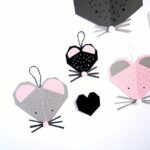 The great thing about these hearts is that you can go large or tiny just adjust the paper sizes and strips. 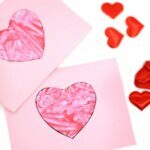 These hearts make great classroom decorations, gifts for Mom or if you go small are the perfect way to decorate some homemade Valentines Cards. 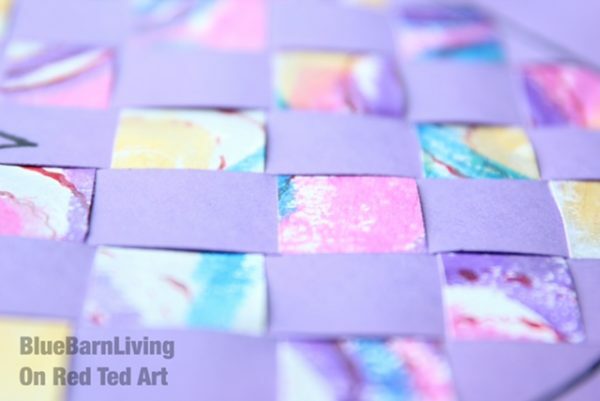 If you don’t have old artwork you want to cut up you could use colored or patterned paper. 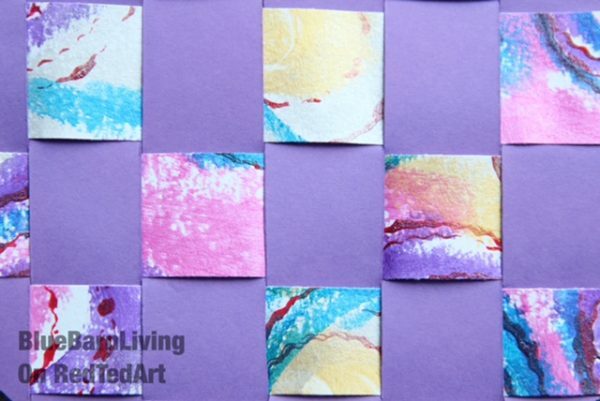 Or why not go and create some special arty prints just for this. 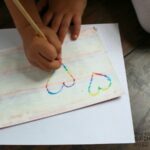 We began by drawing a large heart on the smaller sheet of plain paper. 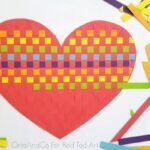 To make it easier for the kids I had created a heart shaped template for them to draw around. Here is the link to the template if you would like to print it, Heart Template. Then (and this bits for a grown up) use an exacto knife to cut the heart lengthways into approximately 2cm (1 inch) sections. 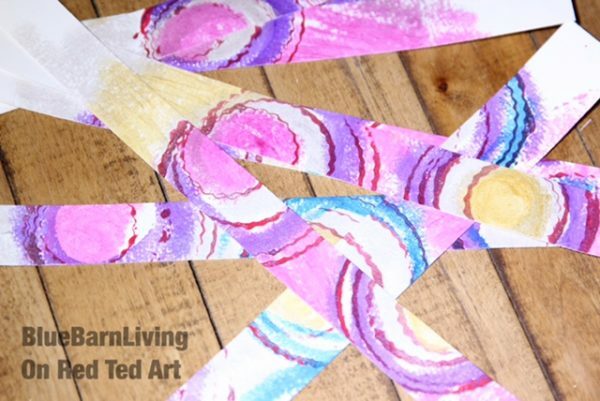 Next we sliced up some of our old art into thin strips. We have a paper cutter which the kids love so ours where easy to get nice and straight, if your using scissors you may want to draw lines to cut along with a pencil and ruler first. Now you can begin threading the paper up and down between the cut segments. Start with the top of the heart – you will only be able to to a couple to start with. Alternate which way you go, under or over for each row that you thread. 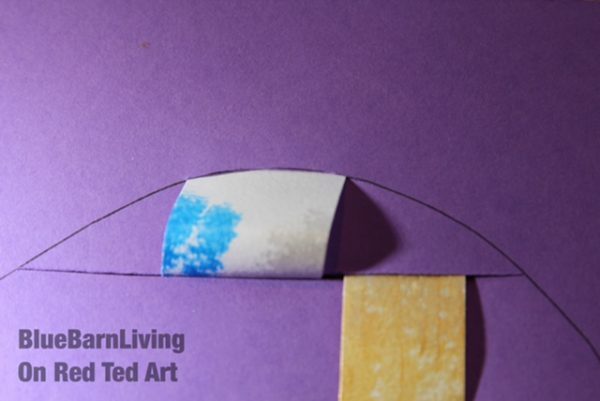 As you get to the edge of the heart if you have an end loose have a grown up cut a small line in the edge of the heart to tuck the end of the paper strand in. 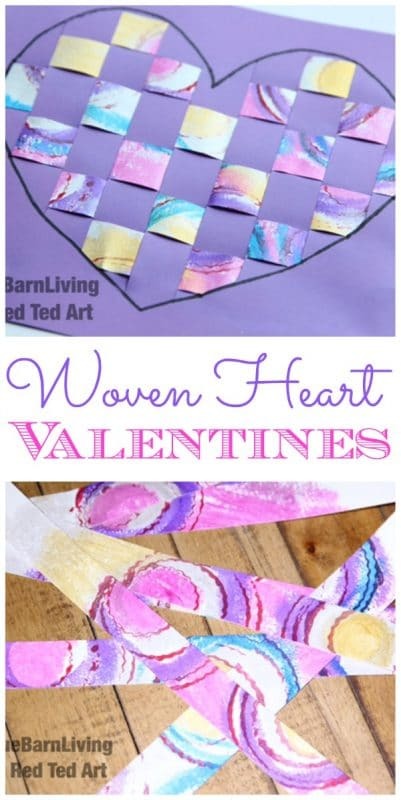 Once you have threaded all the way down the heart trim any loose ends sticking out on the back with scissors and glue your heart backside down to the larger sheet of paper. 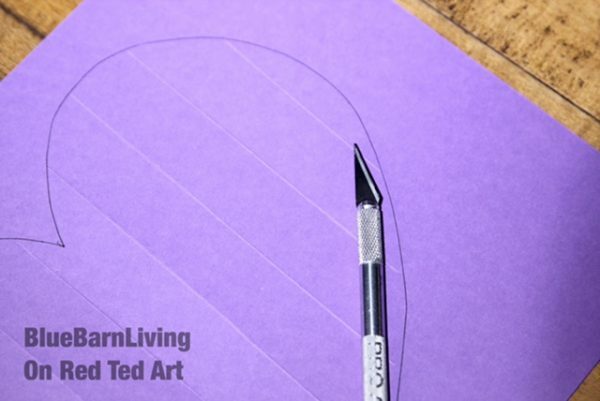 This creates a nice frame around your artwork and also helps to keep all the loose strands in place. 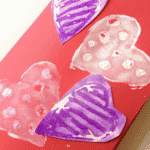 We hope you enjoy making them as much as we do and thanks Red Ted for hosting us, Happy Valentines to you all. 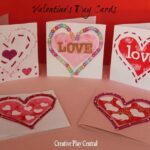 Check out this great selection of Valentine Cards for Kids for you to browse as well! 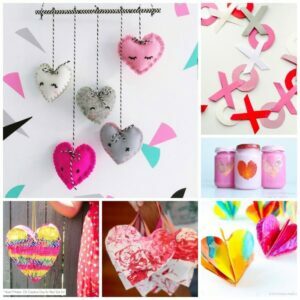 … and here are some WONDERFUL Valentine Decoration Ideas for you to browse too!